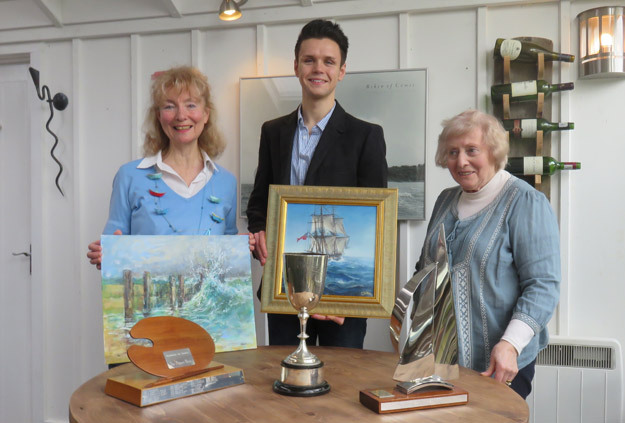 The 2018 winning artists were presented their trophies at the Ferry Restaurant in Bursledon. Winning artists were Jacqueline Rolls, Joshua Langley and Imogen Phillips. 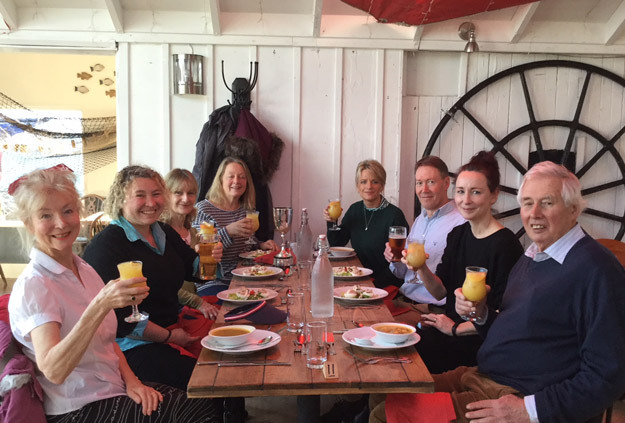 The presentation for the winning artworks was held at the Ferry Restaurant at the Elephant Boatyard, Bursledon. Winning artists were Jennifer Thorpe, Nicola James and Claire Rye-Weller. 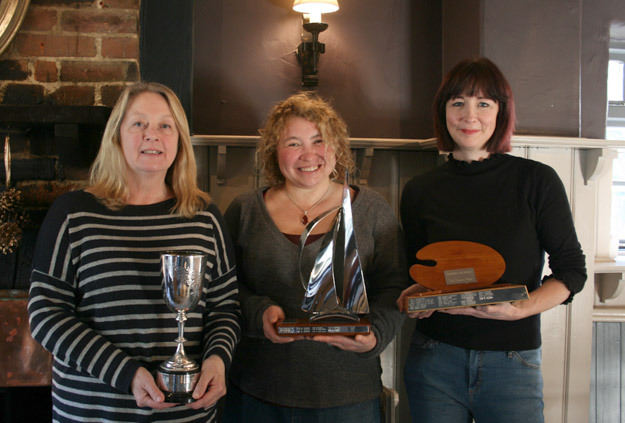 Following another successful Winter show, the artists chosen to receive the trophies (as voted for by visitors to the show) were Helen Jones, Nicola James and Ros Jelbert-Ingram. A lovely lunch was enjoyed at the Fox and Hounds, Old Bursledon. 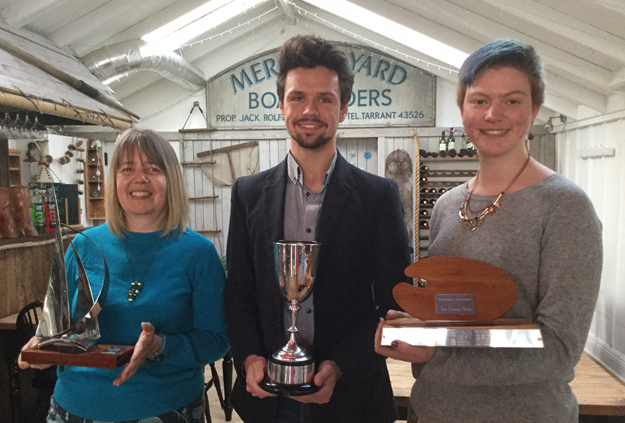 This year's winners of the trophies, as voted for by the visitors to the show, were awarded to Wendy Jelbert, Joshua Langley and Audrey Cleverley.